This ball I got just to give Visionary a test run because it would be the first ball I have owned from Visionary. I am 100% satisfied as the ball does exactly as I wanted it to do. The ball came 15lbs 2oz. with 2.77 oz. of top weight and a 2in. Pin. I have the ball drilled 3 3/8 strong, with the pin under my ring and the CG stacked below. Box finish and balance whole about 3 3/4 to the right of my thumb. I left it box condition (400 matte) because I need something that can handle heavy oil, as I will be encountering some long sport shots in the future. I have practiced on some heavier sport shots recently with the ball and it gave me a great midlane read with an easy and controllable arc on the back to the pocket. It hit hard, and carried the 10, which had been giving me trouble with my Icon 300. It also gave me a harder backend motion than my Icon, and ALOT less over/under than all of my other balls in the bag. On a house shot (typical wall), this ball is too much for me. It starts up too early with the box finish and its hard to keep right. Later in the set (mid-late 3rd game) I can use it very well standing on 27 shooting across 10 out to 10 at the break. If you send it out early it will come back that much harder, but its an arcy motion, and still readable. If you try though, and put some turn on it u can make it snap. This ball actually likes carry down. I have been looking for this type of ball for quite a while now, as the carry down tames the reaction and makes it readable and easier to control, but don't think it takes away its movement and hitting power because it doesn't. This ball just keeps on hitting!!! Taking it up in grit (I'd say between 6-800) and maybe touching it with a tad bit of polish would certainly give this ball a more tame, and really readable backend move for a THS/benchmark ball. I might just get another one and drill it up the same and change the cover just for that reason. I rank it 10 out of 10. Great Ball Visionary!!!!! I got this ball for state because the shot was oily and this ball handled it very well.I played about 8 and it was a nice controlled arc to the pocket.Shot 269 2nd game with the first 8 and i left 2 10 pins.For doubles and singles we moved to a new house and i bowled 2nd shift and the lanes weren't reoiled.I play 3rd arrow to 4th arrow and bowled a 1991 for scratch all events which is good for me.I went one to many games with it shooting 172 my last game with 4 splits but overall this is a great ball and the price is right. I practiced with this ball two or three times, and the box finish was a little too aggressive for our simulated nationals shot. We took the surface up to 1000 matte. This did give the ball a little more length. On fresh backends, it revved up more at the breakpoint and had 7+ inches of flare. It was a bigger move than it made with the box finish. Carrydown greatly tamed the reaction, and made it a nice smooth arc. This ball works well for me in an outside line - 15 out to 12 or so - and really deep if there is a wall in the middle. It is setup with a stacked layout. I really like this ball and I think I will score well with it. I've been using my Frankie May for about 2-3 months now and had to do a bit of fine tuning on it to use it. I have it drilled with a control stacked pattern pin by my ring finger and down a little(static weights were 1/4 figer, 5/8 side) added a balance hole on the mid-plane and reduced the side weight to 3/8. Then hit the cover with cut and polish to get a little more length out of it. I use this ball in our summer sport league and have been having pretty good success on the 38' foot pattern. I use it in my regular leagues when the oil starts to carry down. If someone is looking for a strong mid-lane ball this is the one for you. Used this at ABC Nationals this year ball read the mid-lanes very well, even gave me a little mistake room right. for me this ball aint a 400 matte ball. it has length like no matte ball i ever played with. it just skids as soon as there are some carrydown.i expected an early roll and that it had to be alot of oil, but for me thats not the case. I drilled this ball with a 4" pin and mass bias 4 1/2" from my PAP. The pin is halfway b/w fingers and center grip line. Needed a small weight hole to get the ball off of the borderline. I didnt try this ball with 400matte. I sanded it to 800 and tried it on a house pattern with a touch and go outside. The ball started into an early roll and stayed strong to the pocket. the ball hits very hard and creates a lot of pin movement. I would recommend this ball for someone with medium hand for a typical house pattern. Someone with a lot of hand woould need a lot of oil or play really deep. I wanted this ball for long sport and i got what i wanted. this ball has control in oil but bites a little hard when it catches dry. Profile:Medium-High Revolutions, Medium Axis Tilt, Medium-High Speed. Ball: 2 15 lb balls 2-3" pin, 1 stock drilled 3 3/8, the other 1000 grit 3 3/8. This setup is a great Medium-Heavy THS setup. I can start with the stock May and then when that begins burning up early switch over to the 1000 grit and keep the same line. Even with the 400 grit coverstock this ball stores energy like a beast and is extremely even rolling. When you take the coverstock up to 1000 grit the ball backends a little more but with the added length will store more energy and get down the lane after the line has been burnt a little. I am extremely happy with this ball and is definitely my favorite one so far (and I have quite a few). Want this ball drilled for oil. That being said this drilling gives me exactly what I was looking for. I wanted the ball to be an early rolling arcing line. That's is what I got, it's a very smooth ball motion. The cover is not as strong as I thought it would be, but is very forgiving if I get it out to far and has great hold if tugged. The ball hits with the same power of the G-3. And give me the ability to play the same area of the lane with just a lot smoother and earlier ball reaction. again I am very pleased with this ball and would suggest this ball to most of the bowlers that I know. Layed out 5x4 with surface adjusted to 1200 light polish. Picked up a Frankie May at Nationals this year. Frankie himself helped me out with the surface adjustments on this one. This is my first Visionary ball and if they were only PBA certified it wouldn't be my last. Unfortunately I can't afford to purchase equipment I can't use at Regionals. This ball is one of the MOST Versitale balls I have ever used. I would rate it better on more conditions than the Original Inferno its that good. If you only carry 1 or 2 balls you should seriously consider getting one of these. If they change their minds and get PBA certification I'd give more of them a shot. Needs head oil to be effective, strong coverstock! Well, this is in fact this my 2nd attempt to fill this essential "gap" in the middle of my arsenal for demanding medium conditions. I originally wanted to use a SR300 as a replacement (see my review for reference), but the SR300 turned out to be a pearl ball - with all the good and bad things such a ball offers. So, search went on... Being open to almost any manufacturer, I started research again for a medium performance solid reactive, with medium-low RG, a medium differential and a symmetrical core. I was looking for nothing fancy, rather a conservative solution for my needs, since the ball was supposed to be usable on a wide range of conditions, from medium-oily to medium-dry. The ultimate candidate would have been an original Brunswick Danger Zone, but it disappeared in the mist of time... as well as Track's formidable value-for-money Slash. The Vendetta Black Solid by Dyno-Thane was my next serious candidate (thanks for the forum support on this one! ), but it just went out of production and order option as I wanted one! Argh!!! Another ball I had an eye on was the Arsenal Artillery by Track, but it had a too low RG for my taste and style, and I considered a lot more. I never thought that this job would become so difficult? 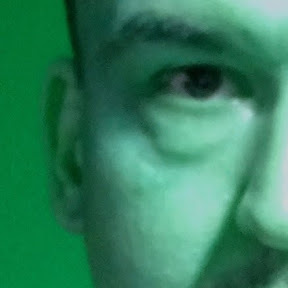 So, after a long journey through the market and snooping around, also with the help of the Visionary forum around here (Thanks for the support from there, too!) I finally settled on Visionary’s Frankie May Gryphon ("FMG" for short) – despite the fact that it would be a little stronger than I'd have asked for on the paper, and that I have never seen a Visionary ball except my own Slate Blue Gargoyle in live action – just a FMG played by Canadian amateur Michael Schmidt during 2005 AMF World Cup on TV. For more details, check out my profile, please. I ordered the ball through a German import company and had it drilled by Brunswick Staffer and Germany's national team player Michael Kraemer in Duisburg. Again, credits and many thanks for drilling support and expertise to him and his team, as well as to katel for logistics in busy times at work. My Frankie May Gryphon specimen came 15.05 lbs.before drilling, with 3.07 ounces top weight. Pin distance was only 2¼". I originally wanted a larger pin distance of 3"+, as close as possible to my old Vicious Attack to mock its reaction. The shorter pin distance limited the drilling options, and consequently the ball was punched up with the pin at 4 1/2" from PAP set directly below the ring finger, CG stacked below. A black urethane thumb slug and clear Vise oval finger inserts completed the drilling job. This conservative setup has IMHO been a smart move, since noone here was sure about the ball's potential, and the large RG differential would surely create enough movement. Additionally, there would also be enough room for an x-hole for future fine-tuning, if need be. The coverstock's potential strength in mind and with its rough 400 grit OOB surface, I assumed that the FMG would be too much ball for the conditions I planned to use it on. To give it good length from the start, some recognizable snap at the break point and more back end on medium sport shots, late games on oilier sport patterns with a track as well as on typical medium THS, I decided to wet sand the FMG to a sheen 1.500 grit surface. I was surprised how much tackier the coverstock became through the sheen surface prep. Resolution and lighting are not top and despite some fat tape on the ball I guess it is hard to tell what it does on the lane, esp. in the back end? Standing at 27th board with my right foot at the last set of dots and playing across 13th board at the arrows I was able to create lots of area with this ball. I was also surprised how far it would go down the lane with its pin-under-fingers drilling, just to turn the corner in a strong curve for a great rolling back end finísh. Nice! Easy to predict, a trust-inspiring piece. Deeper lines would not work that well. Moving the feet deeper to 29th board and playing across 3rd arrow left me with some washouts. I think it is the drilling that prevents the ball from a stronger recovery. With the pin a little closer to my PAP (or a flare increasing x-hole) this should work better, but was also not intended for the ball. I also found that the ball would respond very well to hand position changes: just a little more hand upon release, and the FMG would easily cover 5-7 more boards on the back end. Speed changes were also very effective in order to delay the breakpoint as the lane started to change. I was able to hold the ball in the pocket with ease and send it across the lane for Brooklyn spares without any fear of slipping in oil in the lane's middle part. The sheen 1.500 grit surface proved to be a good choice for my needs and the ball's basic characteristics. Then, first "serious" use in (house) league here - I was anxious if the good results could be cuplicted, since I thought the oil pattern would have helped the other day. But that was not the case! Lining up again at 26th arrow with the right shoe tip and playing only a small swing across 13th board at the arrows, the ball hit well, even though the fresh lanes reduced overall movement. The FMG worked well and literally shocked the competion (who did not know about Visionary at all! ), and the evening went by with a whopping 154-243-217-237 and some lonmg faces. The first game was troubled with the search for a remedy against stone 10 pins, but once this was sorted out with a slight move towards the foul line, the FMG not only rocked the rack, it was again very easy to control and to keep in the pocket in the course of the whole session. Wow! The ball made a huge impression among some German top amateur bowlers, left some long faces and my team and me with a funny and victorious evening to remember I think it also made my pro shop stock Visionary products since then. A truly historical evening. On a later occasion at Duisburg, during my travelling league, the same oil pattern with a lower amount of oil was applied. This was not good for the FMG at all. As long as the lane was fresh, the ball would perform well, but after a track was burnt after about 5 frames and 10 players on the lane, the ball burnt out and would not hook anymore. I was surprised how much grip the React-A-Tack coverstock has, and how much oil it seems to need, even at my sheen 1.500 grit finish. Nevertheless, what I liked much about the ball's reaction in this situation was that the burnout symptoms were easy to read. I can not remember a ball I woned so far that was so "talkaktive" and easy to understand. My club house in Duesseldorf and frequent venue for training with a 1994 Brunswick synth surface. Current main oil is 22 units, mostly flat between 12th and 27th board, with a 3 board wide, sharp oil edge when fresh and a buffed outside zone up to the gutters which does not yield much grip. A grippy, clean back end when fresh, but subject to dramatic changes during play. Well... the latter was also the case when I tried the ball on a late Saturday evening training among social bowlers. This revealed the coverstock's strength - while the shot was still fresh, the ball carried well with a line similar to Duisburg on the maiden flight: feet at 25, playing across 13. Immediately, the ball would produce 190+ games and hold the line well. Funny thing was, again, that I was not able to play deeper lines with the ball. Playing across 3rd arrow, leaves like 1-2-4-10 or 1-2-4-7 clearly told me to move back towards the gutter. And once I moved back between 2nd and 3dr arrow, everything was fine again. When the lane started to break down, the ball once more quickly "told" that there was not enough oil left out there anymore through dramatically reduced back end movement, forcing me to switch to a polished pearl reactive with more length. This experience confirmed my impression of the coverstock's strength, and demonstrated once more the ball's limit on the dry side of the lane condition spectrum from Duisburg: medium-dry and a burnt track area is at 1.500 grit simply not enough for the FMG anymore, it needs some oil volumes to work! Another interesting observation in training during another session: On a fresh apir of lanes I started out with the familiar 26/13 line - but the ball suffered from over/under reactions. In the pocket, the ball would hit weakly, or if it built up momentum in the back end, cross over into the Brooklyn pocket. Mere 160-170 games were the result wich occasional splits. Then, after some games with my Shock & Awe which worked perfectly on the fresh lane and the broad buffer zone on the right side, I switched bacj to the FMG to see if it was the ball, the lane or me why it would not work well. For a change, I went much deeper with my line, since I saw the ball curving like hell before. This time I stood at 31st board with my right shoe tip and played across 16th board at the arrows, through the oil tongue and with good hand and speed. Suddenly the ball came alive, just like the great Duisburg outing before, and a 247 (this year's high game so far) was the result. The FMG was once more easy to keep in the pocket, with superb carry and something I'd simply call "back end autority"! Joe's Superbowling inside of the Rhein Ruhr Zentrum shopping mall in Muelheim an der Ruhr, site of 2005 World Games. Normally very easy to play due to 3 bone dry buffer boards at the gutter. Here (during my video takes), the FMG performed again well as long as the pattern was fresh, and the thin oil would not allow me to play the 13th board line. Instead I had to line up deeper, feet at 29th board and play across 3rd arrow with a rather tight line, and this worked quite well as long as there was oil. After 4 games in total, the ball would lose performance and carry - no surprises after previous sessions. A positive surprise, a very good and versatile ball. The FMG is a ball without "whistles and bells": no flippy asymmetrical core, no itchy high-end, ultra-sensitive coverstock. It is "only" a plain good and strong solid reactive with a powerful core - and this simplicity is IMHO the ball's biggest strength! I experienced during my trials a great predictablility of the FMG, once it was on track it worked almost stoically. I think this stems from its simplicity, and it leaves wide room for easy adjustments through the player. Speed and hand changes, it is very simple to make the ball do things you want it to do, consistently, without surprises. Overall, the FMG is pretty strong, and I got more ball than I originally wanted. I even do not use a drilling that fully exploits the ball's potential. With the grippy coverstock and the high flare potential, the FMG should be adjustable from heavy oil with the OOB finish down to medium-dry conditions, if you apply some polish on a high grit base and a weak pin position. The React-A-Tack coverstock needs some head oil for sure to get the ball down the lane with a vivid spark. This need for oil is so far the only "drawback" I have found out about the FMG. But IMHO it cannot be counted as a serious flaw, rather as results of ongoing experience with this piece and the process of learning how to use it properly. So, if you face burnt heads, light head oil or a dry track area, beware, the ball will roll out easily - or simply try a deep shot. This ball is easy to belly, the core with its huge flare potentail makes life in these situations quite easy. On the other side, the ball's feedback from the lane is very easy to read. They should not have called it "Frankie May", rather "The Medium"! It works like ESP. Because of this, I rate it high as a good/conservative choice for tournament players, and also as a ball for beginner players who step up from entry level balls and look for a performance piece on medium to medium-oily conditions which is easy to handle. When I am to compare the FMG with other balls, I find it behaves much like a high performance ball from 5 years ago. From the balls I have played, it reminds me very much of the Raging Red Fuze or the Trauma - both low RG symmetrical core balls with a high differential. Balls with a hard but rather arcing breakpoint (by today's standards), just with better traction in oil and the midlane area and more forgiving when the lane is not that fresh anymore and a polished pearl would squirt. The FMG has also become a good replacement for my retired Vicious Attack, even though it is overall stronger. The VA was a little snappier at the breakpoint, due to the higher pin position, I assume. With the same 1.500 grit surface, the FMG covers pretty much the same conditions for me and, being a NIB ball, has simply a stronger overall performance to offer. I might even get it down to 2.000 grit or less or hit it with compound like Rough Buff, since the FMG (currently) needs more head oil than the old VA. But this is rather a long-term plan, since I want to see how the ball keeps up its performance after, say, 50+ games. In my arsenal it fits well into the space between my Shock & Awe at 3.000 grit as snap monster for fresh medium to medium oily shots (the FMG would work there, too, just on a tighter, more direct line) and my polished SR300, which offers more length on similar lines as the FMG, just with less need for oil. I wanted "old school", and I got it - paired with a great performance that turns heads and an exotic touch of “what-the-heck-is-this-ball?”. This ball is pretty, especially with the sheen surface. The color becomes stronger and brighter the higher grit you apply, it should look awesome with some polish to it! OOB it looks a bit dull, but with some shine the bright red surface with black marble swirls (Reminds me of antique rubber balls?) really stands out. And the strong contrast colors make scouting what the ball does on the lane quite easy. Even the fat Visionary trademark engravings, which I did not like much on my SBG for the naive looks, look much better on this one. On my FMG specimen they are filled up almost to the same level as the ball's coverstock surface and appear much like the polyester-filled Brunswick engravings. Another good thing about these fat and shallow engravings is that they do not catch dirt as easy as narrow ones (like Ebonite or Hammer), and the sheer mass of filler grips well to the coverstock, so that it won’t come off easily. As announced above, I applied a 2.000 Abralon finish on my FMG, mostly out of curiosity - not that the ball would have needed it. It is highly durable! This prep change is not a big change one might think, but the result is a pleasant and recognizable reaction change vs. the 1.500 wet sanded before. Ball has slightly more length, moves better through the heads and is more angular at the break point, and I like this reaction even better! Less mid-lane read, more back end, second game with this setup was a 246 at my club house in training, playing a relatively deep line (Feet at 34, across 16th at arrows, 2 dumb spare mistakes prevented more despite 2x5 strikes in the game). The ball has retained its good characteristics, and now I am thinking of putting some polish on a 1.500 grit base. The coverstock is just great, I earnestly haven't seen such a good mix of traction potential and tuneability. Very good job, Visionary, and definitively a ball for anyone who wants a true versatile piece! "Put some make-up on your face - Make this world a better place!" Left handed, ball speed around 16 MPH, rev rate around 300 RPM, axis rotation of around 60 degrees, and axis tilt around 30 degrees. 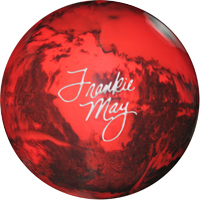 The Frankie May Gryphon (FMG) is my second ball from Visionary. I got this one to be an “oiler”, but had heard very good things about its versatility with coverstock changes so figured I couldn’t lose. The ball came with an almost four inch pin out and very low top. This allowed me to drill it up with a 3.5 axis to pin distance (for flare and recovery), put the pin very high (close to the vertical axis line for length), and the CG almost in grip center (for an arcing back end). The idea was to get something that would get through the heads, come alive in the midlane, and not overreact on the back end. Something I could use on a fresh heavy oil pattern. My first attempt with the ball was on a normal house shot. I was pretty sure this wouldn’t work with the ball in box condition, but wanted to get a comparison against other equipment. It only took one shot to see that this ball is way too strong for this condition. It was hooking before it reached the arrows. Even moving extremely deep into the middle didn’t work. There was just not enough oil in either volume or length to hold it back. The next try was in a PBA Experience league on the Scorpion pattern. Not a real heavy volume, but a much longer pattern. I still had the ball in box condition. It was a little more playable, but still not good. There was simply not enough volume to rein it in. Man, is this ball strong! A few others watching were astounded at how strong the midlane was. Bottom line, in box condition this ball is a monster. You need truly heavy oil to let it show its stuff. Figuring that I would probably never see enough oil to use it that way, a trip to the pro shop to smooth out the surface was in order. I brought it from box condition (400 matte) up to 800. What a difference! It’s obvious that it’s still a very strong ball that just can’t wait to show its muscle, but now it’s playable on heavy oil (with a little straighter line) and the oilier mediums (regardless of pattern length). Very smooth roll, pins stayed very low, excellent hit. One of those balls where the pins seem to beat the ball off the lane. Based on what I’ve seen, I’m sure a smoother finish and/or polish would bring everything short of the parking lot into play. All in all, the FMG is an excellent ball. It’s smooth, dependable, extremely versatile, and has more muscle than anyone should need. Got to try the FMG on our new THS, lots of oil everywhere. 236 high game in league. Very predictable ball in oob condition as with the ogre i'll try it with some surface changes and then give an update. Drilled up my FMG with pin just below and to the right of ring finger cg just below 2 1/2 inches [stacked] took surface to 1000 grit abralon. I like the reaction i get out of this ball. I have been able to use it on a few different lane surface's and conditions. Bowl in a new Brunswick center that puts out more oil than our other centers ball works well there. I am able to play down and in starting the night out around 6-8 at the arrows and just move in from there chasing the oil. I've had a couple 700's and shot 290 2 weeks ago in a tournament with this ball. Another good ball from Visionary. Drilled Label leverage. This ball has a very predictable roll and a strong arcing motion. The 400 grit cover is probably too much surface for the average bowler on a medium shot, but the the cover is versatile and can be adjusted easily to fine tune the reaction. It's too bad these balls are not PBA approved. Page created in 0.724 seconds with 21 queries.